Now in print and available! Thanks to the many people who were excited about this publication, wanted a copy for their cookbook collection, and supported it through Kickstarter, Everything I Eat Nourishes Me, A Cookbook for Body & Soul is now in print! Visit my website, www.alinefourierstudio.com, for more details on purchasing a copy for yourself, a family member or friend, or all three! Also available on Amazon.com. Please feel free to leave comments with your own stories about family recipes and food experiences, and why they are meaningful and nourishing to you. 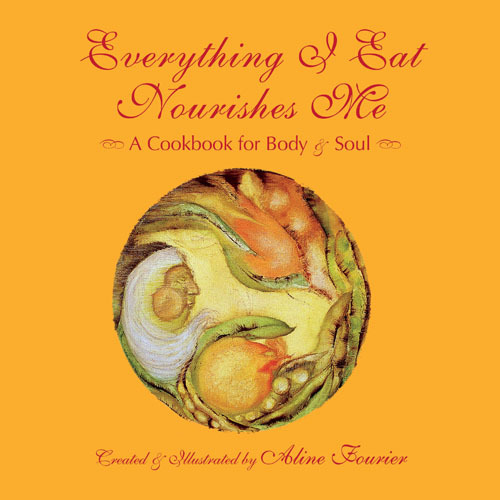 Everything I Eat Nourishes Me, A Cookbook for Body & Soul is a book about love and food, trust and nourishment, and the stories around the recipes we create. It is a self-care book that will allow your own experience of foods and cooking to be your guide. In this book are the deeply personal stories that come from the colorful lives of the contributors. Hopefully, they will inspire you to create your own stories around the foods you prepare and eat and become aware of how they nourish you and can keep nourishing you. With conscious eating, you will learn to savor the foods you choose to eat. 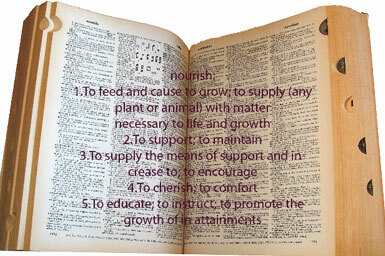 May they bring joy, passion, nourishment and health to your table.